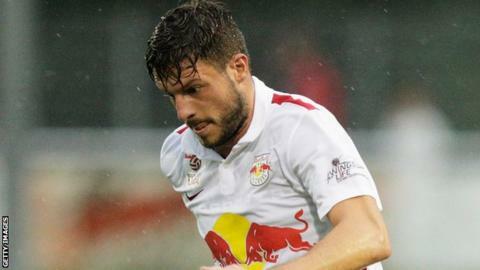 Brentford have signed Red Bull Salzburg striker Marco Djuricin and Liverpool forward Sergi Canos on loan. Austria international Djuricin, 22, has played twice for his country since making his debut in March against Liechtenstein and will spend the rest of the season with the Bees. Canos, 18, has yet to feature for the Reds and has joined the Championship side until 3 January. Both players could feature against Leeds on 12 September.